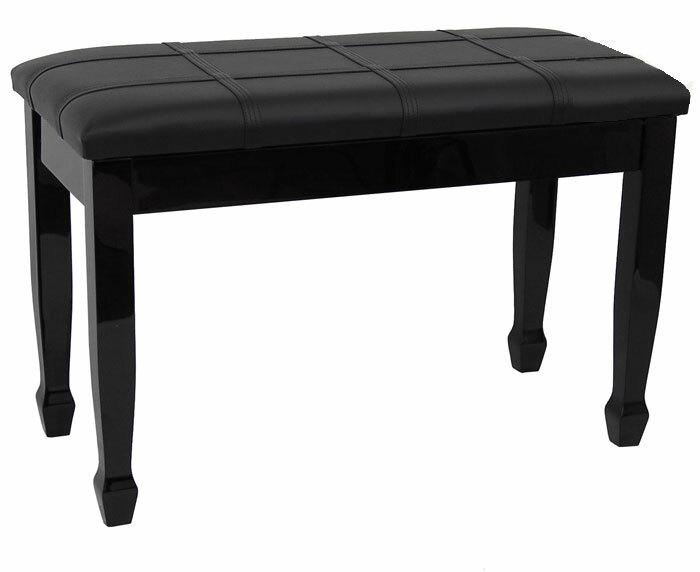 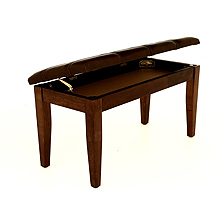 This attractive duet piano bench with padded top has a stylish cross stitching design. 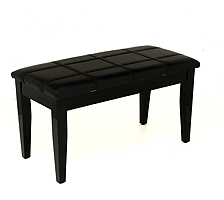 Made of solid hardwood, the bench measures 14" x 30", and is 18.5" high. 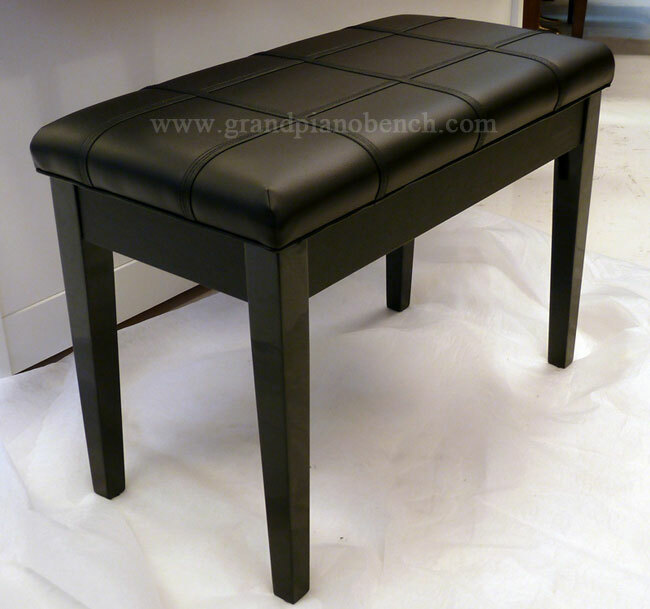 The duet piano bench features a full-sized music compartment, and weighs 22 pounds.